Bb Minor Emotion has just been uploaded to Souncloud. There was some debate at the start as to whether the piece was in Eb minor or Bb minor – in the end I settled on Bb minor as the C was generally not flattened. I could (easily) be wrong about that though ! 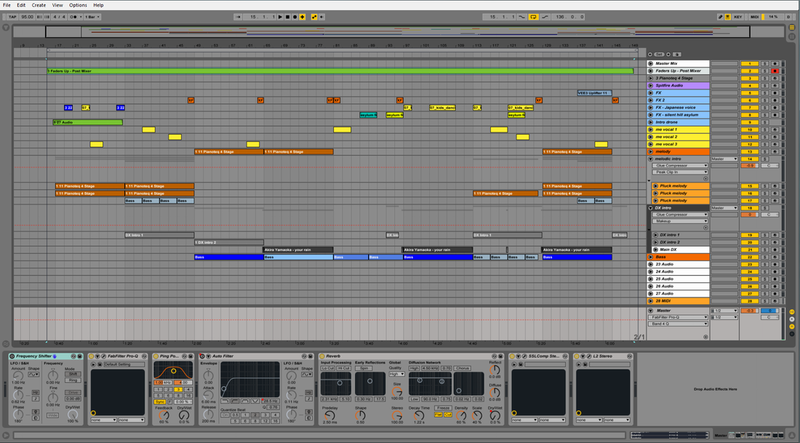 24bit, 48kHz, 95bpm, Key of Bb minor all audio – so much went into making this piece …. I can’t begin to tell you. I hope you enjoy the piece as much as I enjoyed writing and recording it. Below I have added a screen shot from the project which may be of interest to some readers – feel free to ask any questions. Oh yeah – Its also available on Blend.io – 24bit, 48kHz, 95bpm, Key of Bb minor all audio – take it apart, use it, abuse it, have fun. The tracks are flattened so you don’t need the plug-ins.